The challenge of facing a conflict with a friend can be confusing for a child. Ernie the Elephant and Martin Learn to Share teaches the value of sharing one's hurt feelings openly and honestly. This story shows that friends need to share their feelings and their toys. 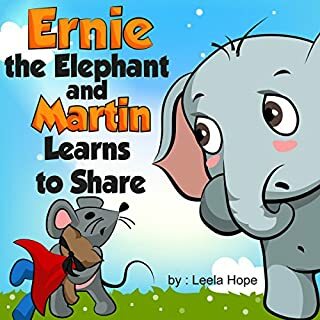 Ernie the Elephant and Martin Learn to Share presents a bright and colorful approach to this difficult lesson. Sometimes we have to learn the hard way, like Martin did, that maybe we are not so nice, but that doesn't mean we have to stay that way. It even helps my three-year-old want to share more with his big brother. This is really helpful for my kid.